Hedican often acted as an analyst “Inside the Glass” as well as on the pre and postgame shows. If Baker wants to stay on the radio, Hedican might be next in line. Also, Hedican doesn’t travel with the team, something Baker does. This might keep Hedi from taking the job, but maybe this job opening is an opportunity for Hedican to get an expanded role. A fan favorite, Brodie runs around The Tank and conducts interviews during home games. He might also want to stay local as he just got engaged (congrats!) and probably should stay in the studio for away games. Plus since he has no prior coaching/playing experience, color commentating might not be the right field for him. The Sharks might just hire a new guy from outside the organization. If every other guy wants to keep his current job, then the Sharks might bring someone new into the booth to commentate with Randy Hahn. If John Tortora wants to regain any popularity with Sharks fans, he should offer the job back to Remenda. He’s one of the best in the game, and because of the reception to his leaving it’s pretty obvious nobody is happy about that. Fans like a guy who tells the truth and isn’t a homer, and it’s clear that Drew was the right guy for the job. 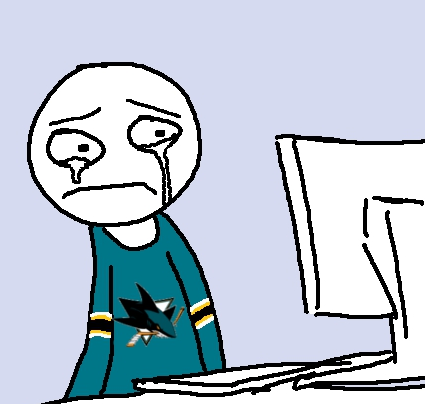 Who knows if Remenda will even accept the job back, but if he does, Sharks fans would get one of the first good pieces of news about the offseason (signing John Scott isn’t good news).